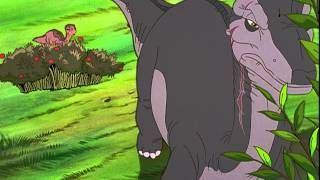 A despondent Littlefoot's (Gabriel Damon) spirits are lifted when he meets Ducky (Judith Barsi) and invites him on the journey to the Great Valley. 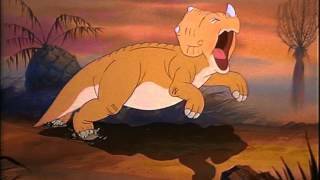 Animation producer Don Bluth's fondness for overly cutesy characters and muddy color compositions work to the benefit of his feature-length cartoon The Land Before Time. 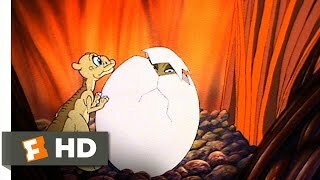 Littlefoot, a brontosaurus child, must fend for himself when his mother is killed (shades of Bambi). 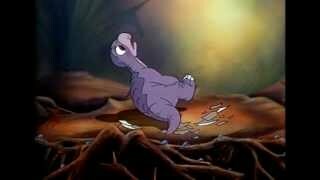 With several other orphaned dinosaurs, Littlefoot seeks out the fabled Great Valley, where food and shelter is plentiful. 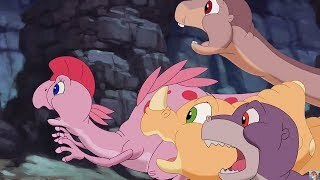 Along the way, the kiddie dinos learn several vital (and politically correct) life lessons, all the while keeping themselves scarce whenever the fierce tyrannosauri gallumph into view. 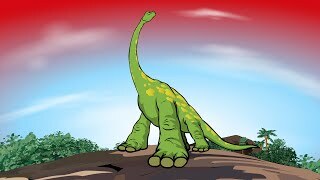 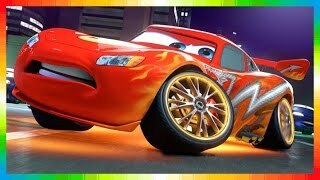 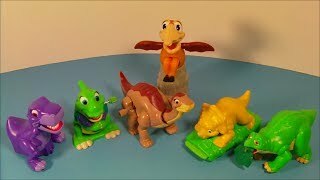 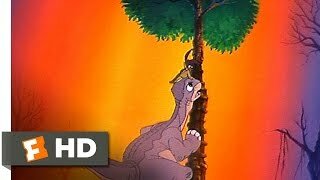 The cuteness of the characters (emphasized by the voice work) takes some of the harsh edges off the story, which makes the film eminently suitable for younger children; and the smeary color design is ideal for the time-frame of the film, which is set in the turbulent, nature-run-rampant period just before the dinosaurs died out. 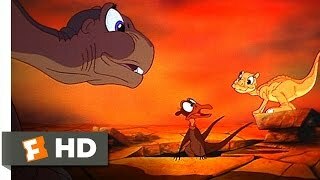 Apparently they didn't all die, inasmuch as a Land Before Time sequel was released on video in 1994. 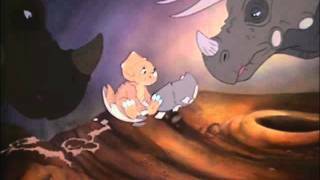 The earlier film inspired a 1988 Saturday morning cartoon series produced by Ruby-Spears, Dink: The Little Dinosaur.